I can't OC my GPU! The sliders are disabled! 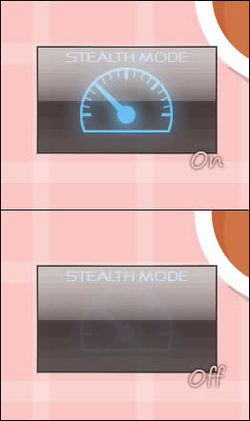 I don't know if stealth mode is on or off! Unlike our friend over here Optimus technology and swithching graphic cards option do not perform how one should expect from an Alienware machine. This option is available in the last models introduced by Alienware the m17x R3 and the m18x. Just hit FN+F7 to switch between your graphic cards and this way save your power usage with the integrated one or prepare yourself for gaming with the dedicated one. The problem appears when you want to update your drivers, as a recomendation for Nvidia users, always enable the dedicated card before installing the newest driver and Install the Intel driver first if you are thinking in upgrading it. For ATI users please refer to the proper AMD/ATI driver update guide on this site, as the procces is to long and hard to explain. While Optimus technology works great with Dell official Drivers, the lack of regular updates from Dell will push us users to use modded inf drivers in order to get the latest ones and be able to play decently the last released games. Most of the times games won't automatically use the dedicated card, so in order to force its use, you'll have to go to NVIDIAS CONTROL PANEL -> 3D settings and over there select the desired game from the list and force the dedicated card to run it. If the game doesn't appear on the list, then search for the .exe file to add it.